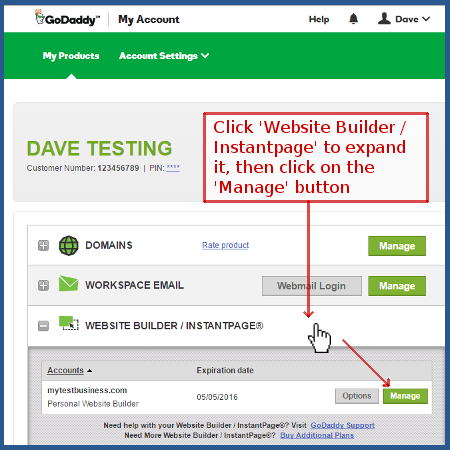 How do I install StatCounter using GoDaddy Website Builder? Sign up for a free account at StatCounter and follow the steps to create your first project and generate your StatCounter code. 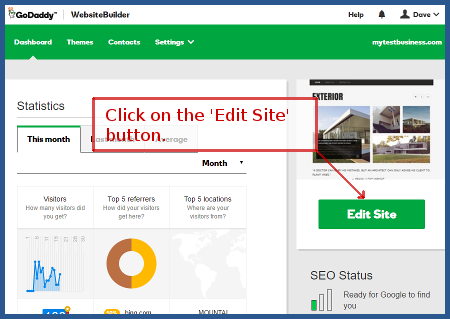 If prompted, make sure to choose GoDaddy Website Builder from the list of Installation Guides. Log into GoDaddy WebsiteDesigner (opens in a new window). 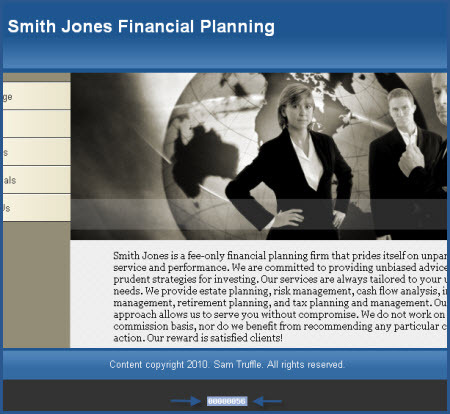 Click "Website Builder/Instantpage" to reveal additional information and buttons, within which you should click 'Manage' button. Click the 'Edit Site' button, found on the right of the page. - On the left click where it says "your code will render here"